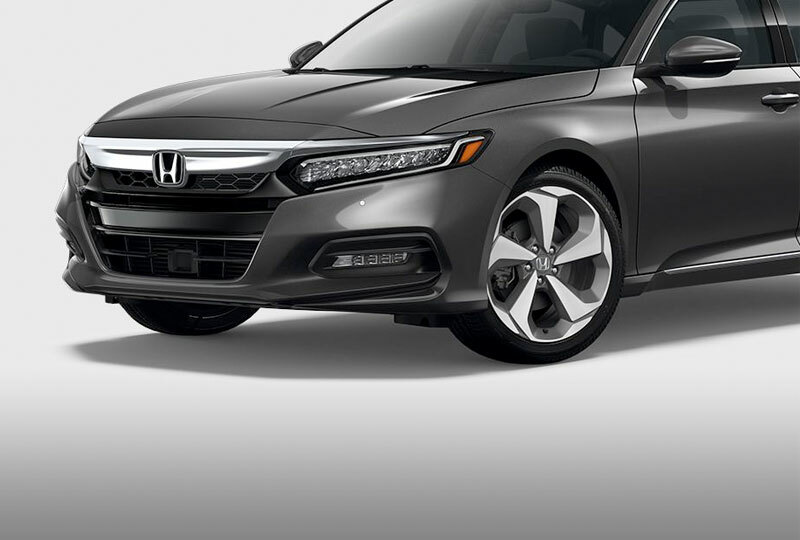 The 2018 Honda Accord from Coconut Point Honda in Estero, FL - serving Cape Coral, Fort Myers, Naples, Marco Island, and Collier, Lee, Hendry, and Charlotte Counties - is a modern sedan for the confident driver. Bold details and impressive styling have come together to create the 2018 Honda Accord. You'll instantly fall for the chiseled lines and LED headlights that illuminate your drive. The incredible 192-horsepower, 1.5L turbo engine offers speedy acceleration and smooth handling for all your morning commutes. Make your day go by effortlessly with the available HomeLink remote that connects to your garage and the available remote engine start system. Back up with total confidence, thanks to the standard rear vision camera. 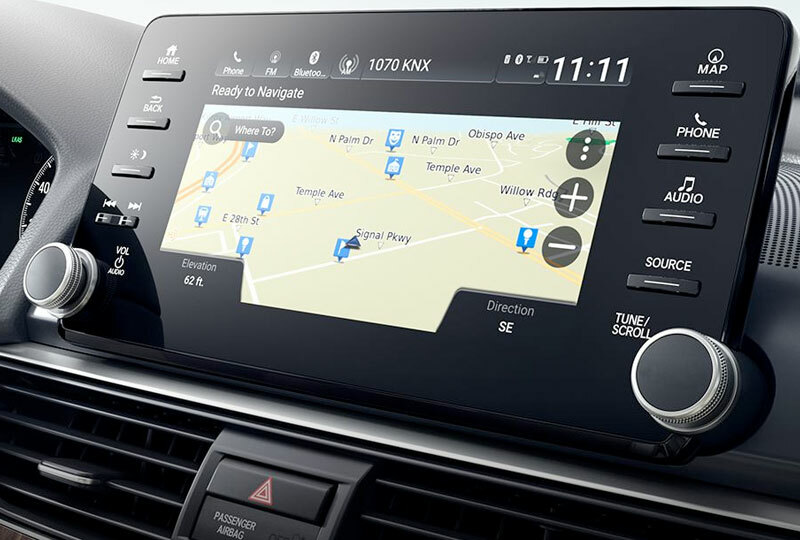 Bluetooth streaming audio syncs to your smartphone for a personalized selection of songs and the hands-free calling feature lets you answer incoming calls while keeping your hands on the wheel. Now is the perfect time to buy a new Honda. The 2018 models are here and they are incredible! Our brand-new showroom at 22240 S Tamiami Trail in Estero, FL, is fully stocked and our specials are not-to-be-missed. Call us at 877-544-7897 and schedule a test drive today. Let us help your dreams of owning a 2018 Honda Accord come true! 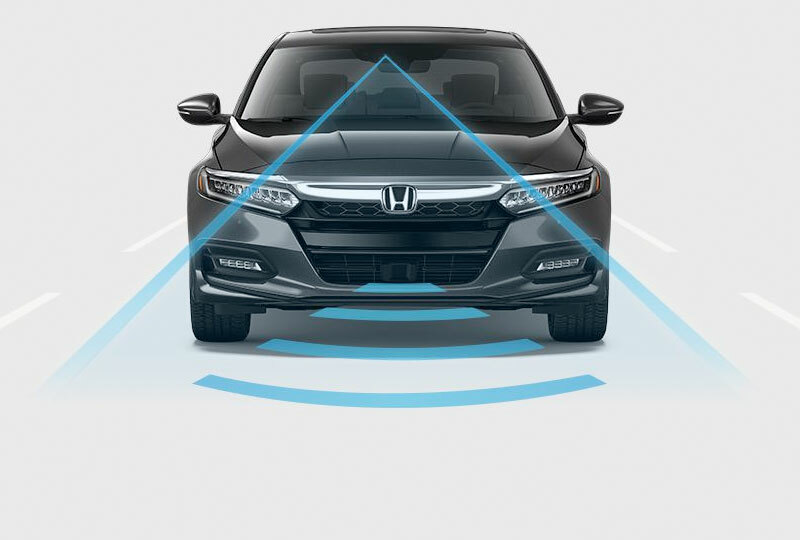 The Honda Satellite-Linked Navigation System™* features maps with 3D renderings and provides lane guidance and live search functionality. 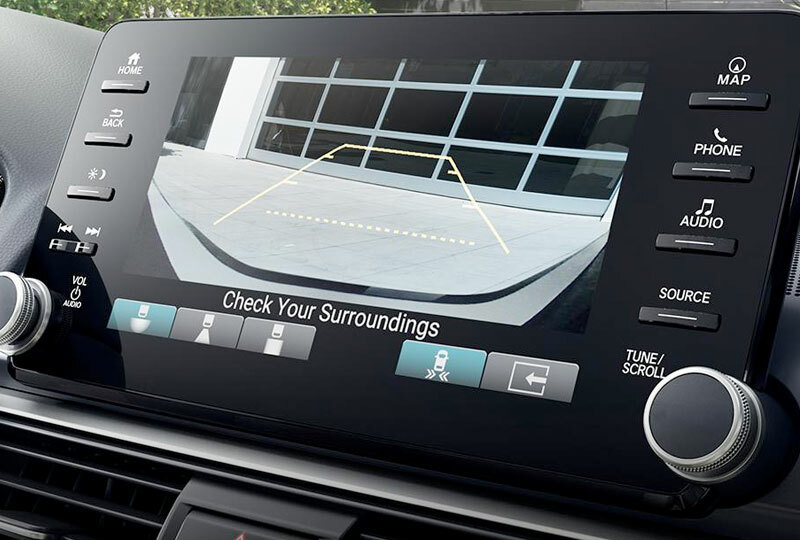 The Multi-Angle Rearview Camera* shows more of what's behind you. An available Cross Traffic Monitor* alerts you to vehicles on either side.